Since it was founded in 1958, when it was established as a limited liability company, until today, the company Colossos SA has come a long way with key milestones that contributed to its evolution and current presence in the Tourism of the Dodecanese. The construction and operation of the hotel COLOSSOS BEACH, in Kallithea Rhodes played a key role in development. The company is founded in 1958 and in 1973 it changes from LTD to SA, which gives a strong impetus to its activities. In 1977 the construction of the new hotel with the name COLOSSOS BEACH begins in Kallithea Rhodes, a project which played a key role in its further development. 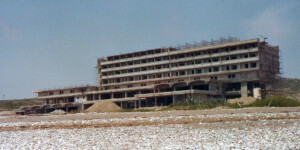 In 1980 the first phase is completed and the operation of the hotel starts. It is an A’ class hotel, housed in a central seven-storey building with 408 rooms. There is an emphasis on service quality and quickly COLOSSOS BEACH wins the trust and loyalty of the customers. The hotel is open seasonally from April to October. In 1981 the hotel’s dynamic develops as 3 three-storey studios (100 rooms) and 8 bungalows, are completed and start their operation, while in 1987 the new wing of the hotel is completed and starts its operation in a seven-storey building of 209 rooms. With the new wing, the total capacity of COLOSSOS BEACH amounts to 723 rooms and 1,343 beds, making the hotel a powerful force of Rhodian tourism. After the renovation the rooms in the three-story studios amount to 114 and the 8 bungalows are now 12. As part of the continuous development and enhancement of service quality, all the public areas of the hotel are renovated in 1991. Having a leading role in the company’s activities, COLOSSOS BEACH hosts the company’s headquarters since 1995 which are transferred on site. Remaining in a continuous growth spiral, in 1997 two floors of the main building of the hotel COLOSSOS BEACH are renovated. 1998 is another milestone year for Colossos SA, as the renovation of hotel PARK (www.rodospark.gr), which started in 1995, is completed. The hotel, which has become the proud of the tourism of Rhodes was leased to Luxotel SA until 2026. In 2004 the hotel COLOSSOS BEACH was leased to the Cypriot-interest company LOUIS HOTELS until December 2016. Today, Colossos SA dynamically continues its upward trend, expanding further its activities and strengthening its leading role in Greek and European tourism. Tasos Maravelias, originally from Simi, besides being the founder of the group he is considered one of the founders of Rhodian tourism. 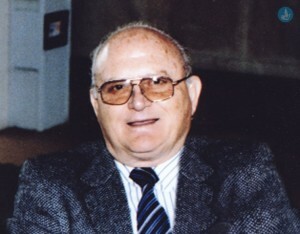 He was, among others, President of the Association of Hoteliers of Rhodes and an active member of the Commercial and Industrial Chamber of Dodecanese. He was a charismatic man and successful businessman in the field of trade since he decided to initially get involved in wholesale trade by opening the first big food store of the time on Gallias Street in the centre of Rhodes. Several years later he decided to become active in the hotel sector, erecting a three-storey hotel with the name Colossos on Karpathou Street, where he moved the headquarters of his store. Tasos Maravelias, like the restless and resourceful spirit he was, after hotel Colossos he decided to build the hotel PARK HOTEL in the city centre, a high quality hotel of excellent aesthetics. Then he took the plunge, by creating the hotel complex Colossos, in the area of Kallithea. It is a unique creation, which is an ideal standard, and until today it still the pride of Rhodian tourism. In November 2014 he passed away at the age of 87, leaving a legacy of ethos, consistency, honesty, dignity, and his groundbreaking ideas. Undoubtedly, through constant struggle, he contributed greatly to the economic and tourist development of Rhodes. His nephew, Aris Soulounias is a worthy and inspired continuer of his work.